March 4 is International pancake day and I have gathered a big list of what different pancakes around the world looks like and is called. 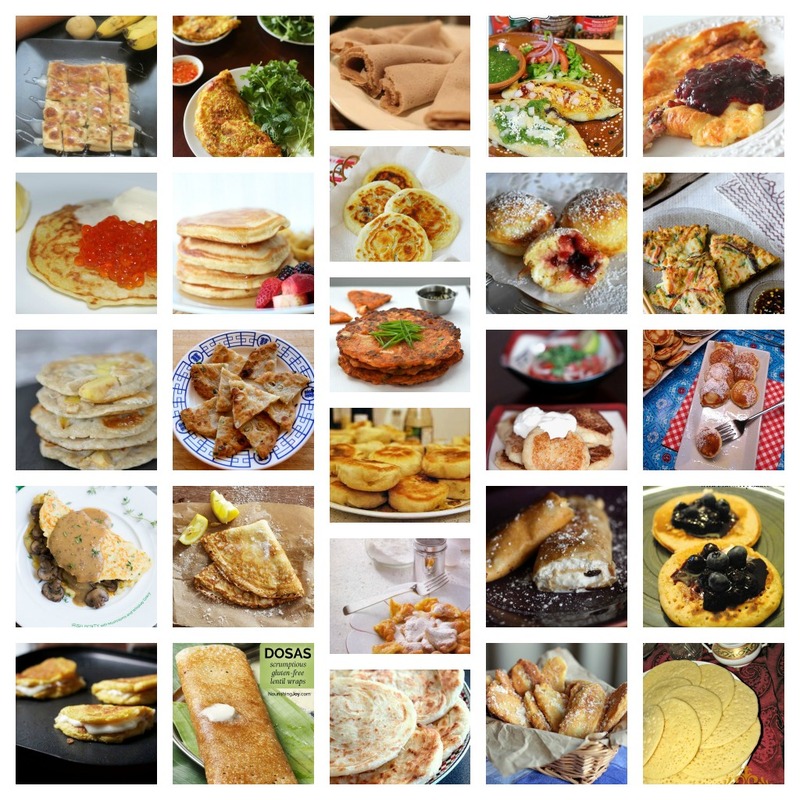 Pancakes exist in different forms in other countries and you can check them all out on my Pinterest board where the name of the pancake is mentioned together with the country it is from. Each pin is linked to a recipe so you can cook the ones you like the most. I have tried to find recipes in English but there are a few that are written in the native language. Please let me know if you find a better recipe in english (need to have a good picture also). Even though I spent a lot of time gathering this list it is not complete. There might be other pancakes from a country that is more common or famous than the ones I picked, the reason for this is that I wanted to avoid very similar pancakes in this list. Let me know in the comments if you find pancake recipes you think should be added to the pinterest board.